I like spikes. (Still.) I know the punk thing isn't new, but I still like the look. Especially the idea of the bracelets with something really prim or simple. My favorite use of spikes was Sienna Miller's headband at the Met Ball (see below). Hearts. 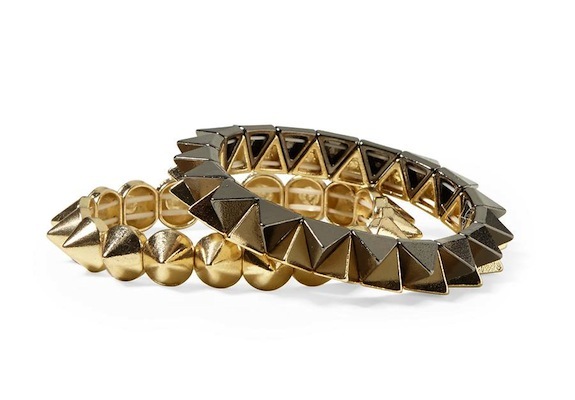 This pair of bracelets from Hive & Honey is only $34. Great way to add the trend to your wardrobe.